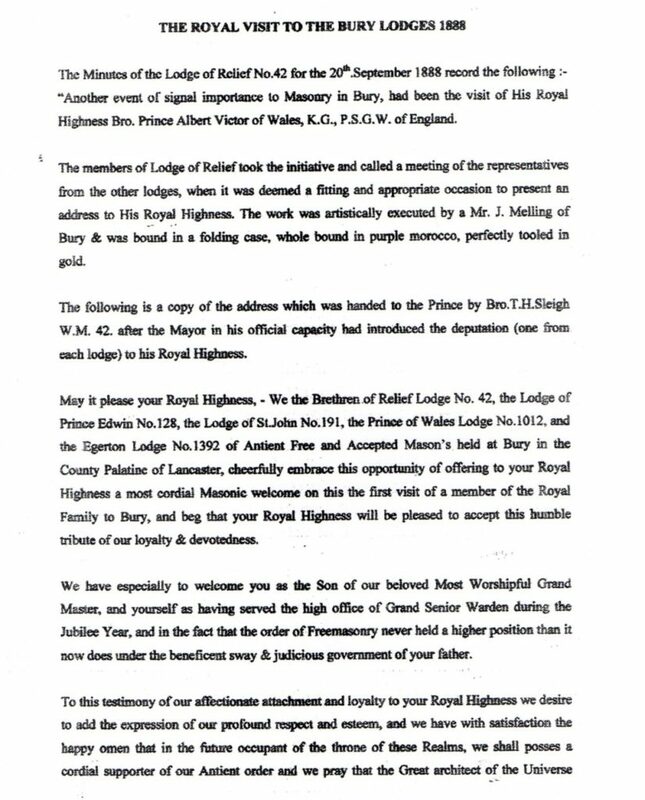 On Wednesday 20th March 2019 the minutes of the meeting held at Lodge of Relief No. 42 from 20th September 1888 were read out in open lodge. The minutes documented the most momentous occasion when His Royal Highness Bro. Prince Albert Victor of Wales, K.G.,P.S.G.W. of England visited Bury. 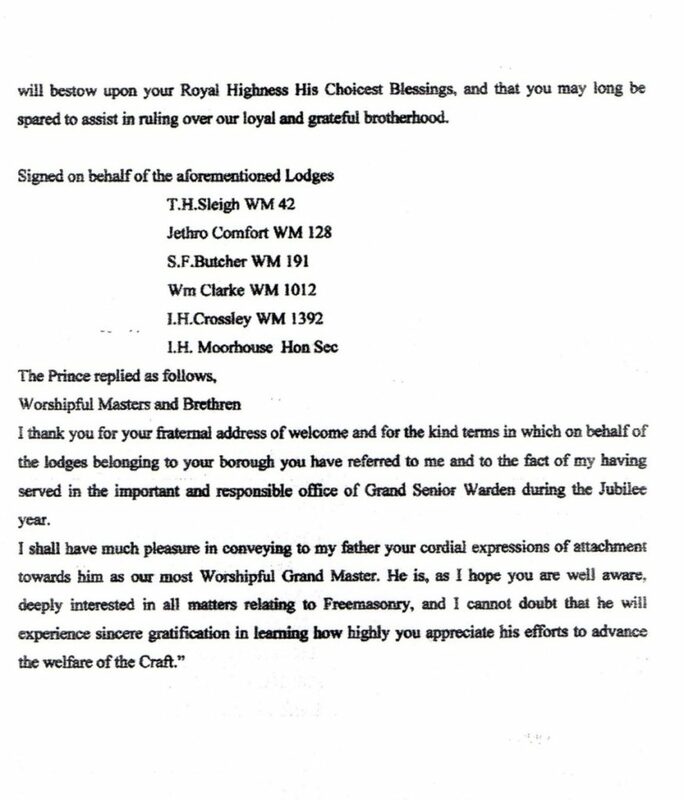 This is believed to be the only Royal Masonic visit to Bury Lodges and the attached minutes make for very interesting reading. Thank You To WBro Ray Sullivan who brought the minutes to light, and WBro Paul Mitchell who read them out in open Lodge at Bury Lodge of Relief No 42.